The halibut derby is well underway, and there’s a new big leader on the board. 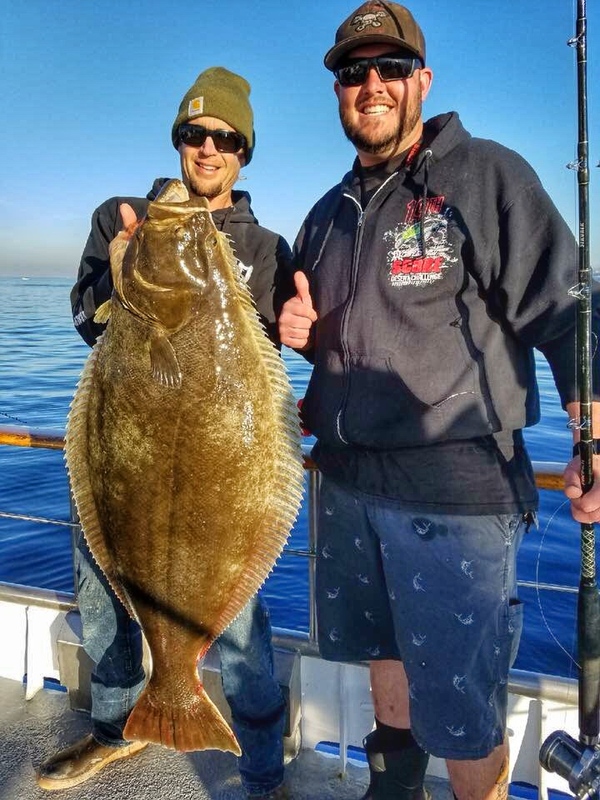 In his weekly report, Dana Wharf Sportfishing and Whale Watching captain Brian Woolley revealed a 36-pound halibut caught last week by David Sluder aboard the Clemente (pictured above). Woolley said the halibut fishing has been really good recently with the derby leaderboard filled up and larger fish already bumping names off. The halibut fishing rig of choice has been reverse dropper loops. On Jan. 5, the Clemente put up its “best derby score ever” with a legal 14 fish of sizes from five to 15 pounds. Woolley also said the three-quarter and half-day trips have been “as good as you can want it to be” in catching sculpin with anglers consistently taking five fish home. The “monkey-maker” set up for the three-quarter day trips has been swim bait on a dropper loop, but squid strips and live bait are working as well. The half-day trips have also been good for sand bass. Woolley advised anglers for half-day trips to be prepared with bottom rigs and mixed-sized egg sinkers as fishing location has been a day-to-day decision based on opportunity.